Through gene therapy doctors were able to synthesize skin tissue for patients diagnosed with junction epidermolysis bullosa (JEB). JEB is a form of epidermolysis bullosa which is a genetic condition that causes the skin to peel and blister very easily. The condition leaves the skin extremely fragile allowing easy rubbing or scratching of the surface could cause painful blisters all over the body. There are two types of the condition, Herlitz JEB and non-Herlitz JEB. Herlitz JEB is the more severe condition starting when babies are just born and results in painful blisters all over the body. The condition can also affect the muscous membranes on the inner line of the throat and mouth making it extremely difficult for the patients to consume food and drink. This leads to the early developing kids to become malnutricious and have slower growth. Because the symptons from this disease are so severe many kids do not survive the first year of life. Department of Biomedical Sciences, University of Modena and Reggio, Epithelial Stem Cell Research Center in Veneto Eye Bank Foundation, H. SS and other institutions successfully reconstructed the skin of a 7 year old boy with JEB. Combining stem cell research with gene therapy the doctors were able to take healthy skin cells from the boy and reprogram them into stem cells. 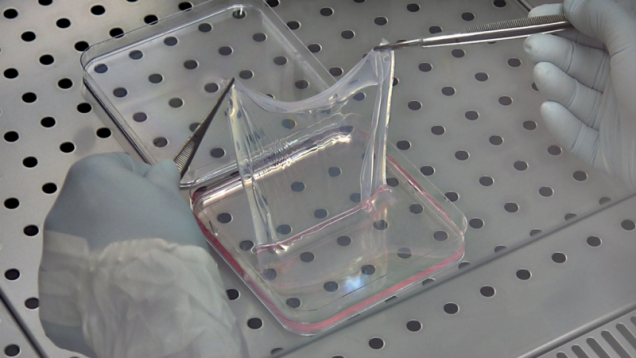 From here they created a sheet of skin cells corrected to graft onto the patient. The patient was covered with many separate grafts of the corrected skin cells and in a couple of years the body that was once covered in painful blisters had regenerated into healthy skin cells.